Exclusive to KD Novelties ONLY! This is the best that you can get with a personalized reading experience with your child. Not only is your child’s name and other features woven into the storyline so is their picture! Our personalized photo books for children range from light-hearted educational stories to super-exciting adventures, with one thing in common: they are all unique. But what makes them so exceptional? 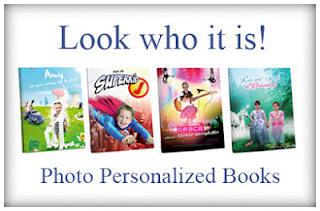 Your child’s name and picture is printed throughout each page of the book as well as the bookcover! You can help your child become potty-trained, see them as a Superhero or read about them on an adventure with their best friend. Select the book that appeals to you most and order your own, Super-Personalized Photo Book. Available for all skin colors in hard or softcover.